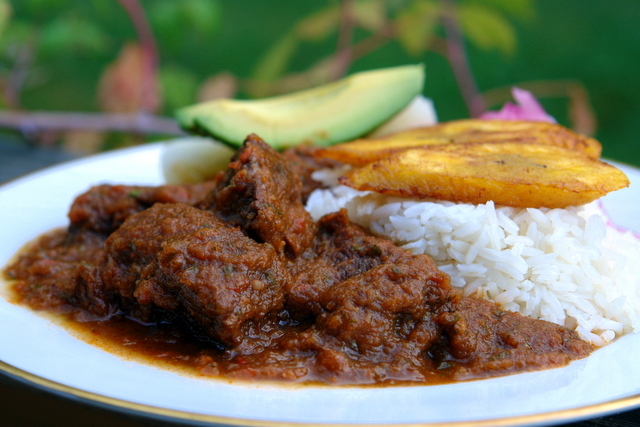 I use panela, also known as piloncillo, raspadura, chancaca, in a lot of recipes, both sweet and savory. 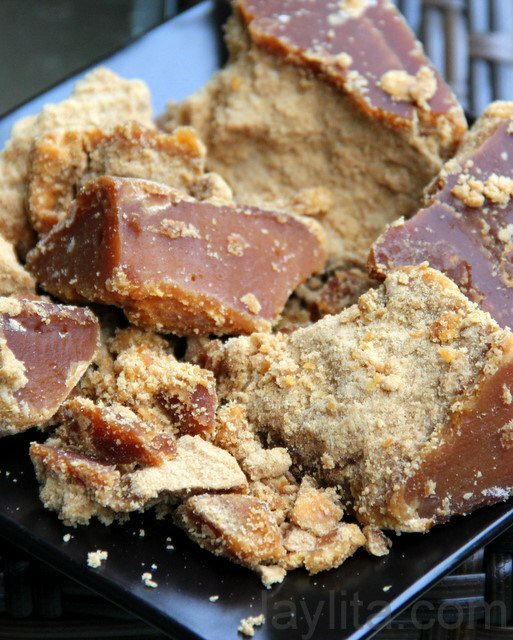 Panela is unprocessed brown sugar that is made from sugar cane juice. In Ecuador, it is mainly sold in the shape of small bricks, in the US I have found it (either coming from Mexico or Colombia) and it sometimes in the shape of a small cone. 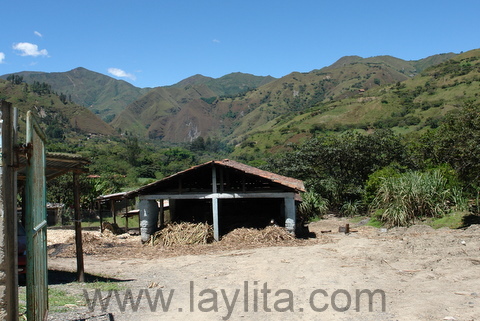 I grew up in Loja, an area of Ecuador, which is known for growing sugar cane. We grew sugar cane on our farm, just a small field – nothing industrial sized, so I’ve been able to experience firsthand the whole process of how panela is made. Panela is made in a trapiche, which unlike in Argentina is not a winery, but rather a sugar cane mill; it is a very rustic process. 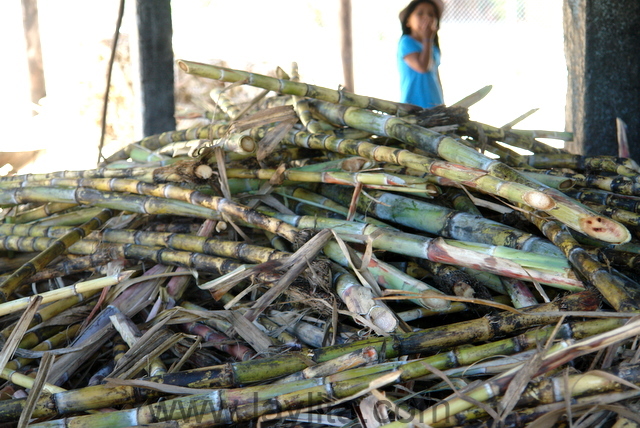 When the sugar cane is ready to harvest, it is cut down using machetes. Next it is piled unto donkeys and carried to one of the nearest trapiches – for us the nearest one was about a 30 minute walk away. 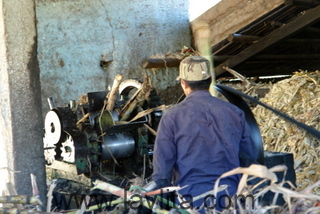 The whole sugar canes are put through a press that squeezes the juice out. 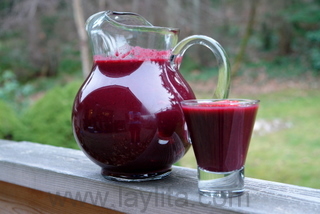 This juice, called guarapo, is delicious and refreshing on its own. 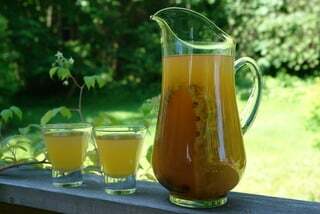 On the weekends in the rural areas it is very common to find trapiches selling fresh guarapo with a dash of bitter orange juice. 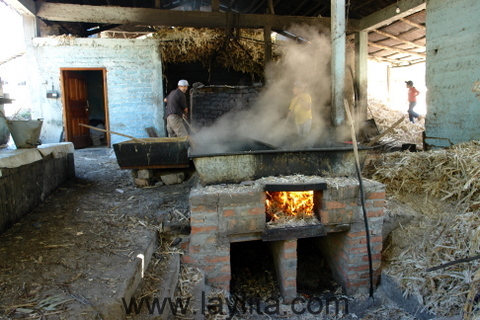 The guarapo juice is then cooked in large rectangular metal containers – which have fires lit beneath them, the fires actually used the dried remnants of the canes that have been pressed. The liquid goes through different cooking stages and is transferred to different containers throughout the process. One of steps includes straining and removing a part called the bagazo – which is then used by the locals as a type of animal feed. I love the fact that every part of the sugar cane has a useful purpose. 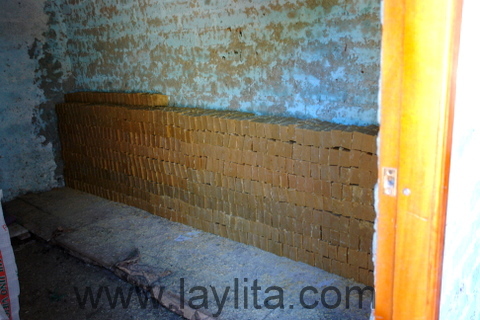 At the end of the panela making process you have a thick syrup that is then poured into a brick-shaped wood molds. 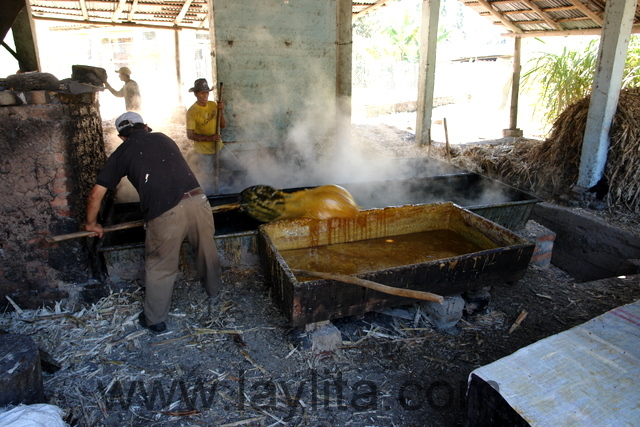 One the panela syrup dries, it thickens and the molds are removed. The color of the panela blocks varies from light to darker brown based on the amount of lime mineral that is added, my mom typically wanted less lime added so our panela blocks were usually a rich dark brown. It is a very interesting process and as kids, it was like a special field trip, especially as the trapiche process was an ongoing all day and all night operation. We would get to stay there very late. We would get to taste every part of the process, from the guarapo juice, to the different stages of cooking the juice – I don’t recommend the taste of the bagazo part though. We also got to play in the dried up leftovers of the canes, which are almost like a cross between hay and soft wood chips, we would make huge piles with these and then jump into them, awesome times! 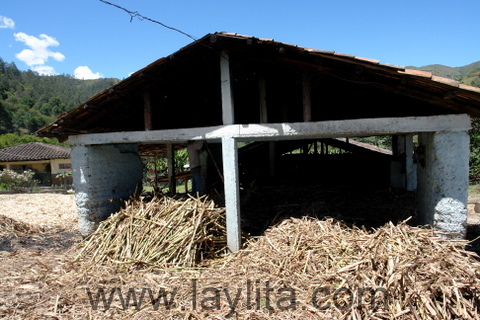 The process of making panela in the trapiche is still the same today in rural areas of Ecuador, I took these photos during my last visit to Ecuador, however I think the sugar cane transportation methods have changed and pick-up trucks have started to replace donkeys. Peeled and cut sugar cane pieces are also a common street snack sold in Ecuador, they are very juicy and delicious. Of course, if you’re in a rural area you can just break off a cane that is growing, you then break it open (crack it against a rock) and peel off the outer thick layer, then you eat the inside. This is definitely not good for your teeth and isn’t exactly like eating plain sugar, but it’s probably close. You can use panela as an alternative to regular sugar, my mom always did this and used panela to sweeten juices or coffee. It can also be used to make jams and fruit preserves. My mom also uses it for baking; she would use half regular sugar and half grated panela. 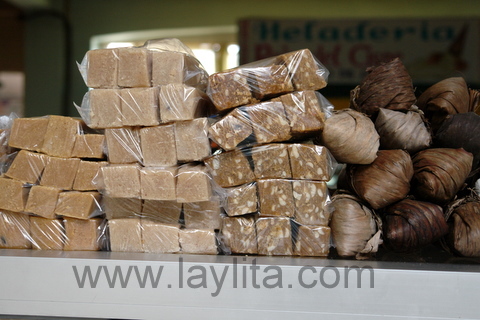 In Loja, a typical sweet made using panela are small candies called bocadillos, these are made by mixing in ground peanuts to the panela syrup. 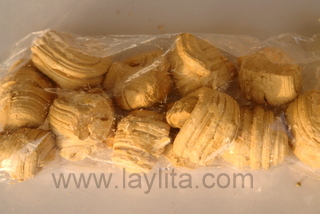 Another popular sweet that is sold on the streets are called melcochas or alfeñiques, which is a type of taffy made from panela – it sometimes includes peanuts. You can find these sweets at most fairs and also at many of local markets in Ecuador. 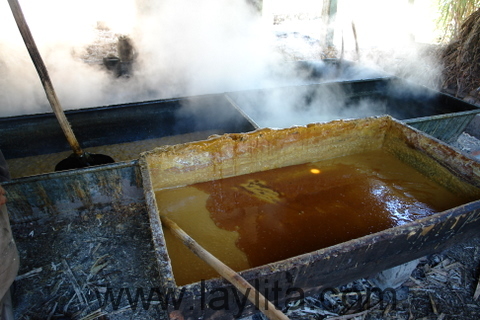 It is common for people to make miel or syrup from panela blocks by cooking them with water or just soaking them in water, and the keeping a jar of miel de panela as a sweetener. 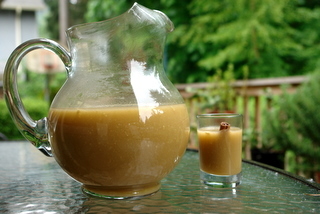 A popular drink in rural areas is agua de panela, which is water with panela syrup and lemon juice. 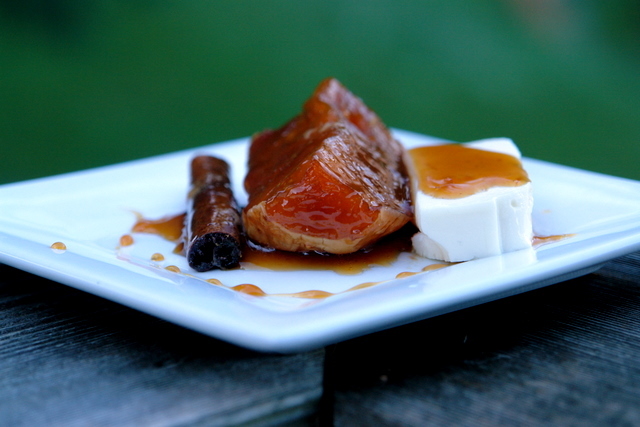 You can also make a spiced version of miel de panela by adding cinnamon & cloves to the syrup. 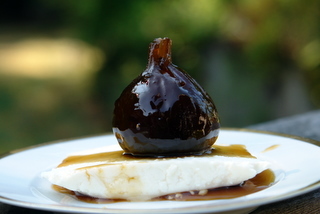 A very popular dessert is a simple dish of fresh cheese slices drizzled with miel de panela. Thank you for sharing your recipes and educating me on Ecuador and its food, resources and even your traditions. My son lived in Quito for two years as a missionary, and my new sweetheart is from Guayaquil…I have been enjoying it all. I am very fascinated in the food and culture. By the way, your recipes are so delicious!!!! Please keep sharing!!! 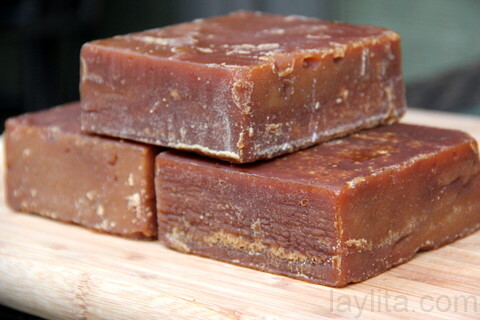 In India we call is Jaggery. I am going to ecuador in a month and am so excited. Hi Bud – Glad to hear that you enjoyed Loja. I love your photos, they are really good! 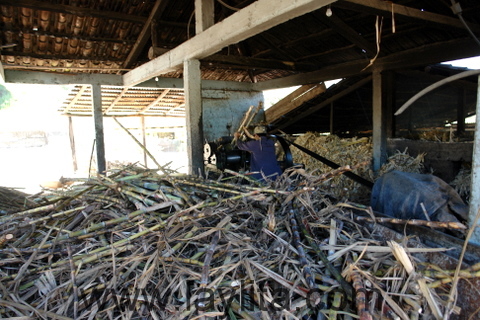 Scattered across the American South, there are small farm operations that process sugarcane in this manner stopping after the syrup is complete. As a child , I relished trips to the farmers’ market when stalks of sugarcane were purchased… my father would cut and peel chunks for us to chew! True cane syrup( not what is sold in stores with corn syrup added) is a treasure in my home…my mother ALWAYS served homemade biscuits with cane syrup and I refuse to make a pork barbeque sauce without it! Although I love molasses, the depth and complexity of the flavor of cane syrup is a joy! Thank you for enlightening me on the rest of the process… I cannot wait to make a trip to the Latin grocery to purchase panela ! Awesome, very educational article. And very yummy, too! You’re so good. It is called Tapa de dulce in Costa Rica! I love stopping for a quickly cane juice mixed with grapefruit. It’s fun to watch the honkin big machine tear up the sugarcane. Now I can appreciate it even more! cuando eramos estudiantes y le llamavamos turrones,tambien se preparavan con ajonjoli o semillas de sesamo,tengo deseos de saborear este dulce ,gracias por todo Laylita que Dios le siga dando esa bondad para podernos regalar estas hermosas recetas y nosotros practicarlas .Abrazos . Thanks for this post, it is so interesting and thank you for all of the recipes. 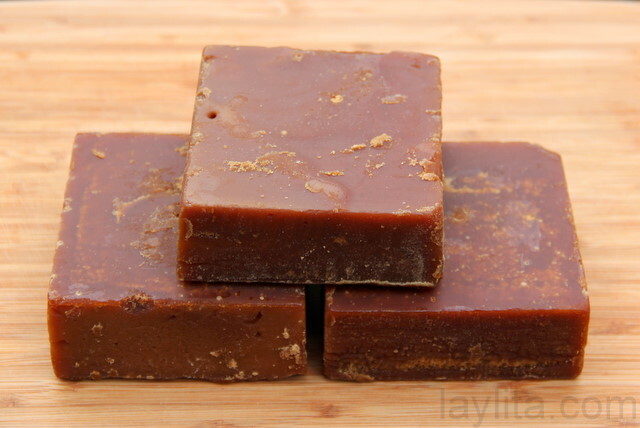 Thank you for the explanation of the panela-making process and all of the lovely photos.